“Why can’t you just pick up that foot?” is one of the most oft-heard refrains in boarding and lesson barns everywhere, muttered to horses of all ages and sizes in the course of an unsuccessful grooming session. 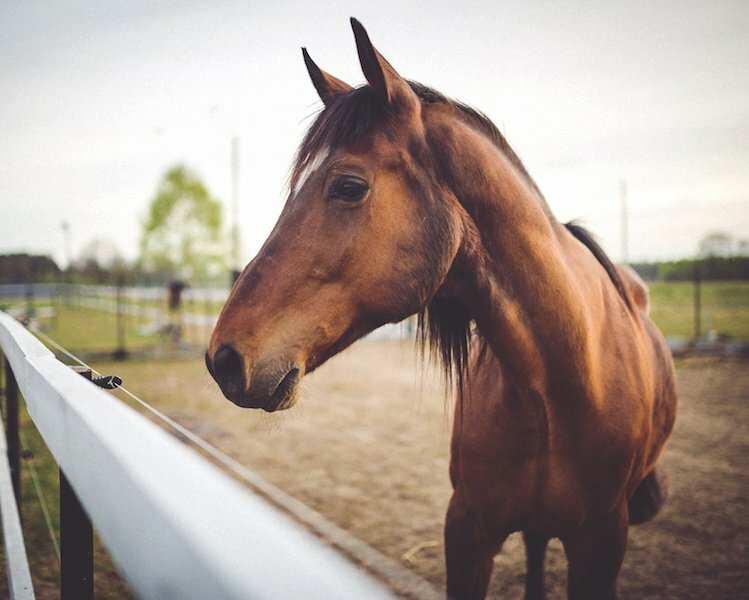 Every horse owner I know has a cocktail party story about “the one weird thing my horse is afraid of” or some quirky habit of a horse who refuses to play by a particular rule. There’s a saying in horse training that “the horse is never wrong.” Although there are sometimes instances where horses are intentionally naughty, one must wonder how much of our horses’ bad behaviors are actually misunderstandings. As challenging as it can sometimes be to remain patient in the midst of a miscommunication with your horse, one of the useful things to do is to stop, break the problem down into smaller pieces, and look at it from the other end of the lead shank. Many of us are familiar with the idea that horses are prey animals, conditioned to flee first from perceived threats and ask questions later. On a practical level, that means horses’ senses operate a bit differently from ours. Smell—For one thing, their sense of smell is stronger than ours (though not as acute as that of a dog). On a personal level, I’ve noticed my mare can pick up on the aroma of brush fires in neighboring yards much more quickly than I do, and she’s also likely to smell the cows at the farm across the street have moved into a nearer pasture before either of us can see them. Some smells trigger anxiety if associated with a threat. The most important takeaway: Just because you don’t see the thing that has your horse flaring his nostrils doesn’t mean there’s really nothing there. Visual view—The positioning of horses’ eyes on the sides of their head allow them to see most of the way around their bodies through one or both eyes, with blind spots directly behind them and below the nose. A horse trying to explore a new environment will raise or tilt their head to compensate for their blind spots, which means you can get a hint as to what may be confusing or worrying a horse. If you pay close attention, you can see your horse watching you as you groom him or pick his feet—his head will raise or lower to allow him to keep an eye on you (or not). It was a big day in my relationship with my mare when I realized she no longer felt the need to keep one eye on me as I moved around her during a grooming session. Instead, she moves an ear toward me to figure out where I am, but now seems confident I’m not going to do anything uncomfortable. Color sense—Horses are limited in the degree of color and pattern they can perceive, which is why some horses are cautious about approaching or crossing areas where the ground changes. Many horses are hesitant to step into dark spaces like unfamiliar buildings or trailers because they also struggle to process changes in the amount of light coming into the eye. They are very perceptive of sudden movement, which is why your horse may seem particularly reactive during high winds. Hearing—The equine sense of hearing is also much more sensitive than that of people. Besides being able to swivel their ears all the way around their body to locate a sound, horses can also pick up sounds at much lower volumes than we can. Their range of tone perception is comparable to ours, but they are much more sensitive to tone. I’ve found that my mare responds to the pitch of my voice much more a the word itself. If I drop my tone an octave, as I do when I say, “whoa,” she tends to hesitate, trying to figure out if I’m asking her to slow down. During a ground exercise I have to be very aware of whether I’m accidentally raising or lowering the pitch of my voice and inadvertently sending out mixed signals. When I find my mare is resistant to a simple task like responding to a voice command on the lunge line and I can’t figure out what may be causing the problem, I like to pause for a moment and let everybody take a breath. Then, I find it helps to present the same task in a in a different context: this may mean changing directions and asking for the trot again, asking in a different part of the arena, or stepping back to a walk/halt transition before coming back to the walk/trot transition. If I’m riding and running into some confusion, I may use a voice command from our ground work to help clarify. 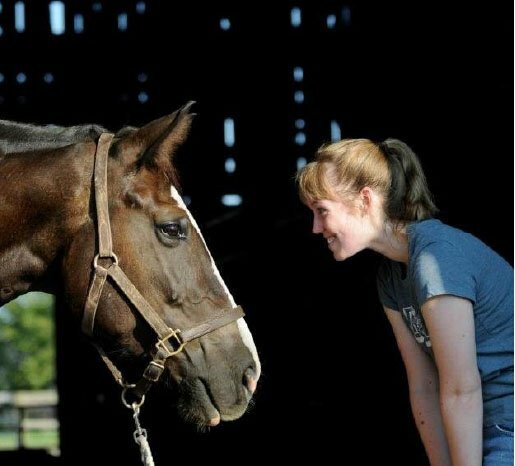 Remember that positive reinforcement is important when the horse does try to answer your command, even in a small way. Whether the horse is nervous, confused, or a bit cheeky, a calm and positive communication will take you farther than silence.